There are many benefits to being a member of the RCM-SAR! Station #60 is always looking for new members who currently have their PCOC card. Full training is provided in the classroom and on the water. Unit meetings are held on the second Monday of every month at 7:00 PM at the Comox Fire Hall. We invite any & all interested parties to attend one of the meetings as a guest, converse with current members and express interest in volunteering to the Unit’s Membership Director. Prior boating experience is not essential. Obviously it is helpful, but the current membership ranges from regular Coast Guard officers on active duty to members who have never owned a boat. Every member has the same opportunity to move up the ladder (it is a short one) from new crewmember to Coxswain (skipper) of the boat in charge of a mission. Training with Garry Brown at the helm of the “Lazo” and the “Paul Giles” shown in the distance. YOUR ENTHUSIASM & YOUR CHARACTER ARE MORE IMPORTANT THAN YOUR SEA-TIME! We honor this mandate by accepting new applications from persons with a complete understanding of the commitment required of them. Active participation in the Unit is a mandatory requirement for current membership. To become a member, you must attend two consecutive monthly meetings of the Unit and tour the Lazo with one of the Coxswains. If, after this, you are still interested, your application is taken and you can commence participating in the on-going training sessions and Unit meetings. ENTHUSIASM & PARTICIPATION ARE THE DETERMINING FACTORS!! To maintain membership, it is expected that you will attend the regular monthly Unit meetings, participate in the training sessions, crew changeovers, and devote an average of about one weekend per month for specific training. Members on the active duty roster are on call approximately every 5th week. Members are on call 24 hours a day, via pager, just like members of a volunteer fire department. Members are not paid. We are all volunteers. Besides the considerable satisfaction of public service, members receive a great deal of free training in first aid, search & rescue, marine electronics, navigation, piloting and boat handling. 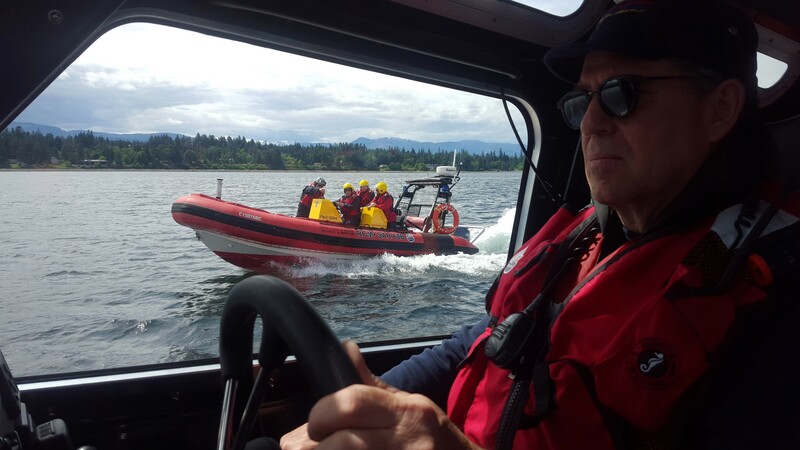 Members have the additional benefit of belonging to a marine rescue unit that operates one of the best-equipped vessels of its kind on the Pacific coast and working along with, and learning from, highly skilled volunteer and professional search and rescue personnel. 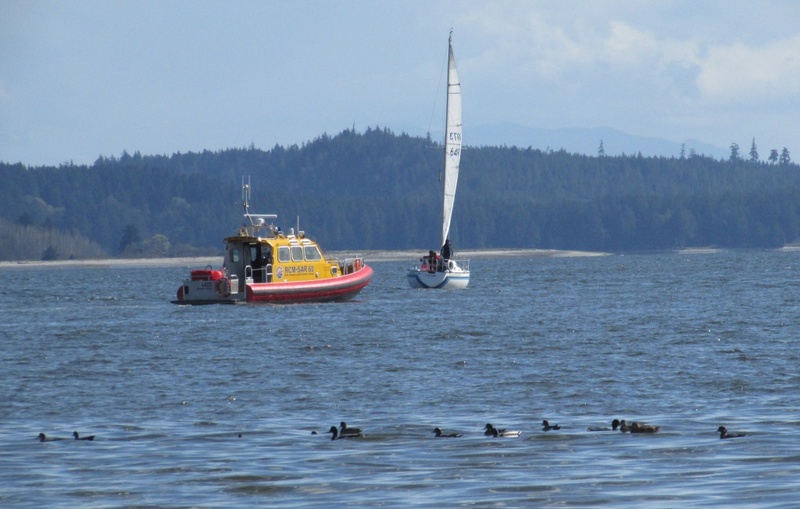 If you are interested, please join us at one of our monthly meetings at the Comox Fire Hall or come down and meet crew & coxswains at crew changeover, every Thursday at 6:30 pm at the Lazo vessel in the Comox Marina.